They also reduced their UK standard delivery and now it’s only £3.95! The offers above are only available online when you click on the links provided and not in the TM Lewin Stores around the UK. 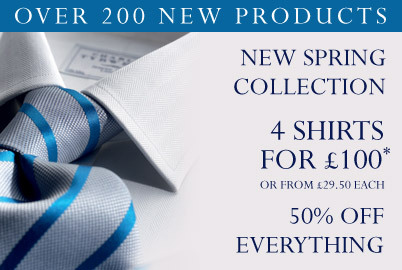 Savile Row Company is running seven days of different promotion starting today till next week. All offers are going to be different for each product and for the first 10 orders there is going ot be a different freebie!!! Click here for the offer and use Discount Code – BSS9 at checkout. Buy any Men’s Suit for the current discounted price of £179 and get a Shirt, Tie and Hanky of your choice for FREE. Click here for the offer and use Discount Code – AWSP9 at checkout. TM Lewin is running their January sale with great success and some great prices! Mens Shirts from £19 used to be £65. They also reduced their UK standard delivery and now it’s only £3.95! The offers above are only available online when you clcik on the links provided and not in the TM Lewin Stores around the UK. < Tell A Friend and get a chance to win £50! !